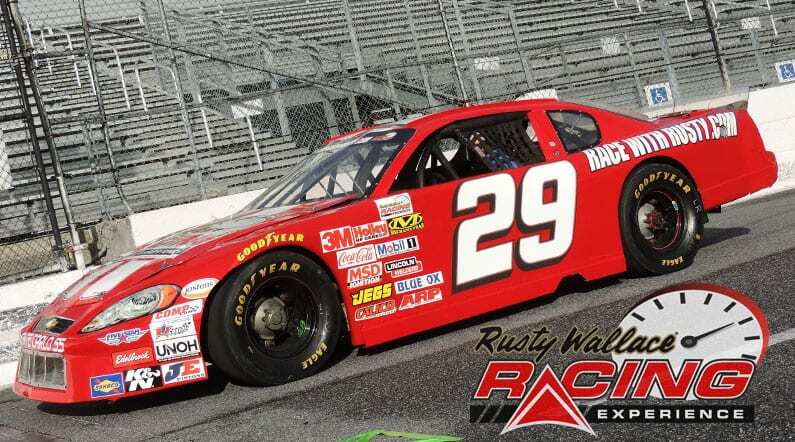 Come join us on track at New Smyrna Speedway because it’s your turn to experience the thrill of the Rusty Wallace Racing Experience!! Choose your New Smyrna Speedway Driving Experience or Ride Along Experience to begin booking. If you’re giving as a gift or are unsure about a date, you can purchase a gift voucher and you or the recipient will have 90 days to return to the website or call 855-227-8789 and book a date. 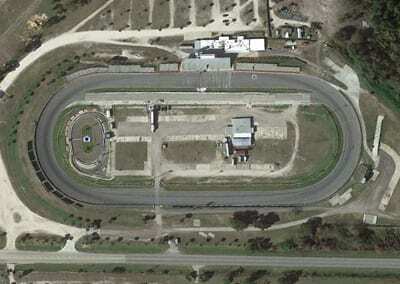 New Smyrna Speedway is an asphalt track that is 0.48 of a mile in length, located near New Smyrna Beach, Florida, that races Florida Association of Stock Car Automobile Racing (FASCAR) stock cars every Saturday night. It also has a smaller track, known as “Little New Smyrna Speedway” in the infield. This track races Quarter midgets on Friday nights. The event features NASCAR Tour Type Modifieds, ‘SK’ Type Modifieds, Florida/IMCA Type Modifieds, Super Late Models, Late Models, Crate Engine Late Models, Winged Sprint Cars, and Pro-Trucks. Only Geoff Bodine and Ryan Newman have won a championship at the annual event, and gone on in their career to win the Daytona 500. New Smyrna Speedway also hosts the annual Florida Governor’s Cup 200 Super Late Model race each November. Widely regarded as the most prestigious Super Late Model Race in Florida and is among the elite short track racing events in the Country. Since the repaving project, the track has seen quite a few NASCAR Sprint Cup, Nationwide and Truck teams use it for testing. Teams test for places such as Martinsville, Richmond, and even Phoenix. The recent testing ban instituted by NASCAR has increased the draw of teams that test at the high-banked half-mile. Names that have tested there include Dale Earnhardt Jr, Kasey Kahne, Tony Stewart, Joey Logano, Greg Biffle, Ryan Newman, Clint Bowyer, Mark Martin, Bobby Labonte, Kyle Busch, Denny Hamlin, Kurt Busch, Juan Pablo Montoya, David Ragan, Danica Patrick and more. We send out email promotions for individual tracks as well as nationwide. If you would to be included for future promotions, please enter your email below. You will receive any email promotions for New Smyrna Speedway as well as Nationwide promotions. You can opt out at anytime. If you would like to receive specific promotions for any other track, please visit that track’s page and submit your email for that track.